We were invited to attend the annual Huckleberry Pancake Run this year. It was put together by Bikers For Christ in the Portland, OR area. 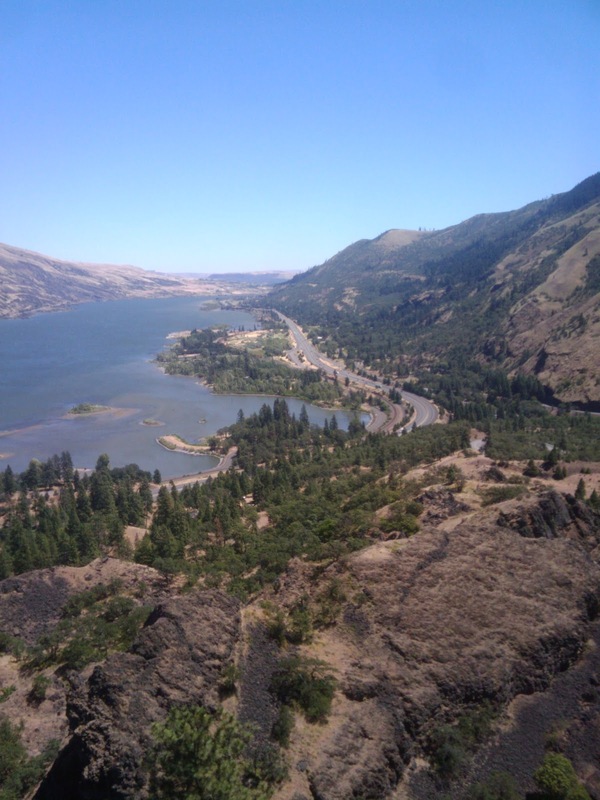 We rode from the Tacoma, WA area with five motorcycles. Two of those motorcycles had passengers. We have some video footage of the actual Huckleberry Pancake Run. Photos I’m going to share below are only from the Huckleberry Pancake Run. There wasn’t any taken before or after. I was plumb wiped out I’m tellin ya! The gal standing up high there is representing an organization that is an alternative to Planned Parenthood and abortions. It’s called Options 360. Bikers For Christ did the 50/50 raffle/drawing thing. We donated half of what we collected to Options 360. Check out their website. These are at the Huckleberry Inn, Gov’t Camp, OR. The last two are of Paul, my hubby, me and his motorcycle. 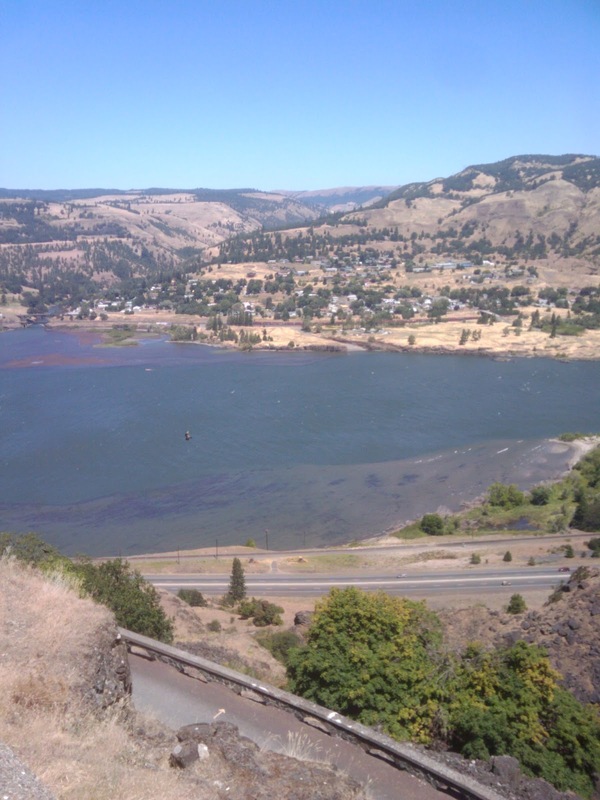 These are the Columbia River at Rowena, OR in the area they call The Dalles. We were high atop a lookout. It was mighty windy. I got a bit of windburn on my face while there. 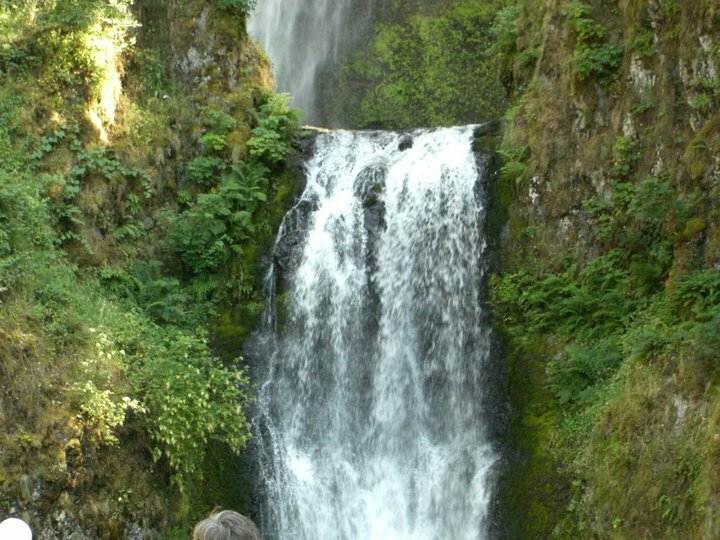 These are taken at Multnohmah Falls, OR. We had refreshment here. It was a very busy place. It was beautiful though. 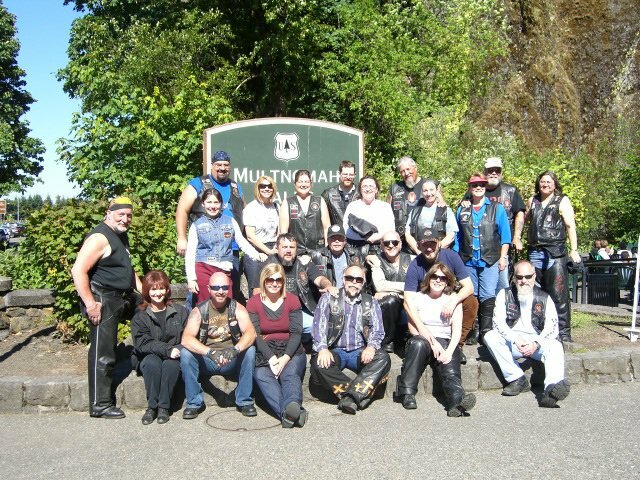 The group photo is some of our Bikers For Christ Ministry. You can learn more about Bikers For Christ by hovering over the name and clicking the link. 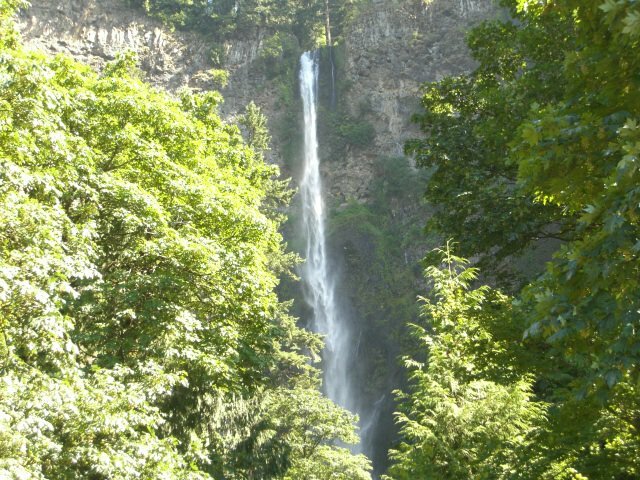 This entry was posted in BFC, bikers for christ, columbia river, huckleberry inn, huckleberry pancake run, images, multnomah falls, Uncategorized. Bookmark the permalink. Love these pics and your ministry as a biker. Thanks, Kimberly. I have to say ditto to what my friend Tiff said above.